Attorney General Eric Holder says American Airlines and US Airways must make broad concessions if they want to settle a lawsuit blocking their proposed merger. Holder indicated on Monday November 4 that the government's concerns about the merger extend beyond the control that American and US Airways would have at Washington’s busy Reagan National Airport. The attorney general’s comments show that the parties could try to reach a deal and avoid a Nov. 25 trial on the lawsuit, but also could indicate that the government's demands may be too steep for the airlines. The government sued to block the merger, which would create the world's biggest airline, on grounds that it would restrict competition and drive up prices for consumers on hundreds of routes around the country. At a press conference in Washington, Holder said his department has focused on forcing American and US Airways to make concessions at key busy airports throughout the United States. “We will not agree to something that does not fundamentally resolve the concerns that were expressed in the (lawsuit) and do not substantially bring relief to consumers,” Holder said. If there is no settlement, he said the department was fully ready to take the case to trial. 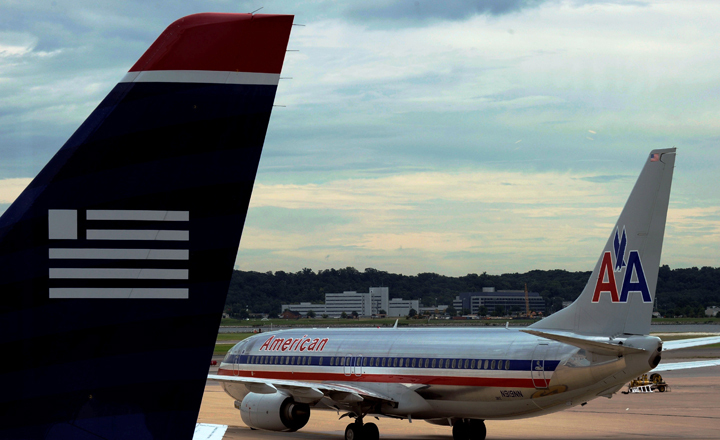 Last week, American and US Airways Group Inc. began working on a settlement proposal that would include giving up valuable takeoff and landing rights at Reagan National, two people close to the situation told The Associated Press. It was not clear how many takeoff and landing slots the two airlines were willing to give up, and they did not want to make broader concessions. The combined airline would keep the American name and leapfrog United Airlines and Delta Air Lines in size. It would control about 69 percent of all flights at Reagan National. American Airlines offered a terse response to Holder's comments. “Any discussions about settlement to resolve this litigation, whether internal, with DOJ directly or through the mediator would be private and we are not going to comment on them in any way,” said Mike Trevino, a spokesman for the airline. US Airways said it would not comment on the discussions either. The airlines and the government have agreed to use a court-appointed mediator in settlement talks. If those discussions fail, a trial is scheduled to begin later this month and run through mid-December in U.S. district court in Washington. American’s parent, AMR Corp., has been operating under bankruptcy protection since November 2011. As part of the bankruptcy case, it agreed to pay a record $24.9 million in fines to settle $162 million in claims lodged by the Federal Aviation Administration for a variety of maintenance and safety issues.